Seven people have been killed and more than 50 injured after a tram overturned in south London. Passengers were trapped inside the wreckage of the carriages. The emergency services were called at around 0610 am after the service derailed near a stop close to central Croydon in the south of the British capital. Transport officials say the tram’s driver has been arrested. More than 70 firefighters were sent to the scene. 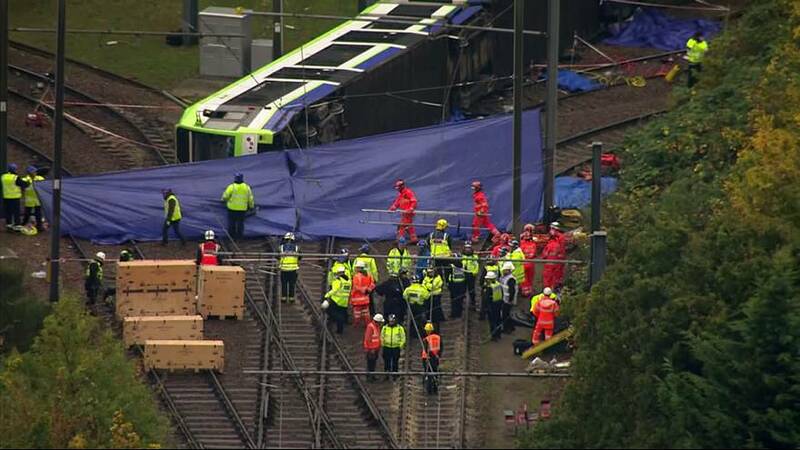 Television footage showed the tram lying on its side across the tracks near a junction where the line divides. “We have transported over 50 patients to a number of hospitals, those being St Georges and Croydon University Hospital. Most of those patients were walking wounded. There are however a number of patients with some serious injuries. We will continue to work on the scene with the other emergency workers during the recovery operation,” said Liam Lehane, Assistant Director of Operations, London Ambulance Service. “My thoughts and prayers are with all of those who have been affected by this terrible incident that has taken place on the tram in Croydon,” said UK Prime Minister Theresa May.